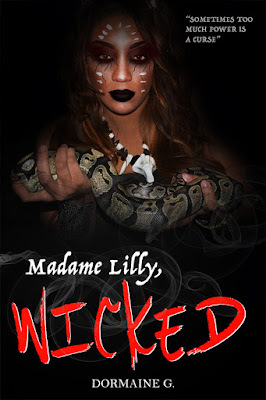 DormaineGblog: Madame Lilly, Wicked (Vol 4) is Finally Here! 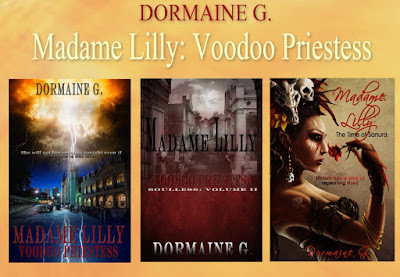 Only $0.99 for a limited time. 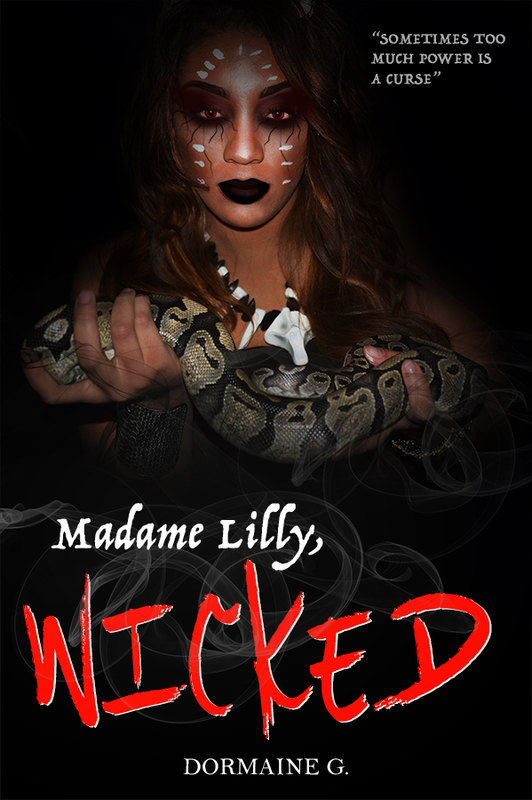 Madame Lilly, Wicked (Vol 4) is Finally Here! Only $0.99 for a limited time. All chairs simultaneously moved inward, hitting the back of their legs and forcing them to sit. The men fell back, astounded, but silence fell upon the room except for one. 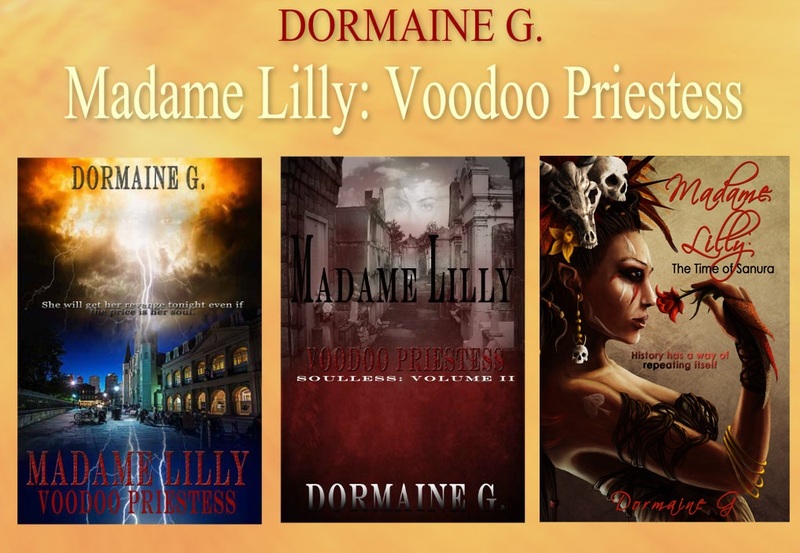 Ever since Lily had raised the dead she had started to enjoy the disruption amongst people. Sick as it was, it made her feel powerful. She saw it with fresh eyes. At one time she believed men who argued were men who were in such control they wanted to keep it. As much as part of that was true, she now saw that they argued because they were losing control, and in this case fear made that happen. She held up two fingers then lowered them, taking the mayor down with her. He grabbed the arms of the chair to prevent himself from toppling over. The men gasped. “Shut up,” Lilly commanded. The mouth of the man who spoke was instantly sewed shut. Bits of blood oozed from the corners of his stitched lips. The men closest to her backed away.